As his riveting new album suggests, Bruce Springsteen‘s most admirable trait may be the strength of his convictions. While other superstars struggle to replicate the formulas that took them to the top, Springsteen’s latest represents a radical departure not only from its five predecessors, but from many of the elements that commercial success in 1982 would seem to require. 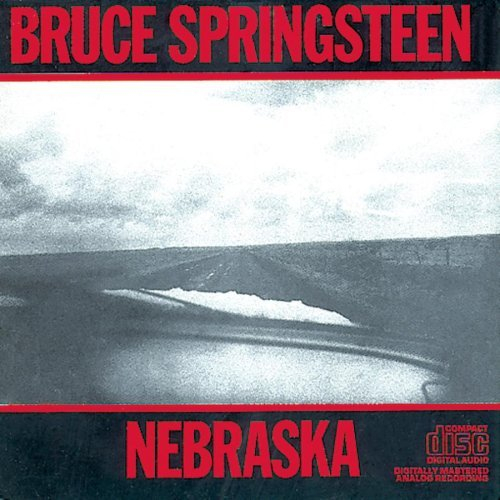 While other artists clutter the field with Hallmark card-style lyrics that ultimately say nothing, moreover, the words on Nebraska are worth a thousand pictures—and every one of those pictures evokes compassion. Listeing to the album for the first time, though, you primarily notice the sound, which is a million miles from the high-powered, Phil Spector-influenced rock anthems that put Springsteen on the covers of Time and Newsweek. Recorded on a four-track cassette machine and featuring just Bruce, his guitars and harmonica, the LP aims for the heart of the folk tradition with straightforward, mostly low-key vocals and unadorned performances. Never mind that precedents for this approach are sprinkled throughout the singer’s career—from his unrecorded early East Coast work to relatively recent tunes like “Meeting Across the River” and “Wreck on the Highway”; hearng an entirely solo, largely acoustic Springsteen album at this point is as shocking as was Bob Dylan’s move in the opposite direction in 1965. Like its music, Nebraska‘s subjects are not without precedent. Bruce continues to write about both his father and his native New Jersey, for example, and as for his preoccupation with automobiles, several of the protagonists here are singing from behind the wheel and one is on a used-car lot. God knows, Springsteen has written happier songs than these. But never has he had a firmer grasp on his characters. Or his art.